These look so delicious. Beautiful pictures too. i like that... "the naked chef gets dirty"... made me giggle. i cant wait for your garden to grow, i remember last year being green-with envy- over your veggies. I love the pink cake stand:) The muffins are darling!! I'm with you - going to try to grow herbs in pots this year and see how it goes! The spread on the muffins is GORGEOUS. It make me think of Eastery! And I love the pink cake plate! Those are so pretty and sound delicious!!! I'm ready for spring, too! And can we talk about these cupcakes? They look amazing! I can only imagine how moist and flavorful they must be. You did a gorgeous job! I'm ready for Spring too! Enough with the cold. OMG, that cupcakes look so beautiful. I bet they are delicious too. Only Jamie would have thought to put squash in a cupcake! He probably has one with "beautiful garden greens!" as well. :) Love that guy! I've had good luck with a number of recipes from that book, but never tied this one. Hi Abigail- That makes two of us. I want to get out there! Hi Abby- you're right, it is kind of Eastery. G/L with your herbs. Hi Jennifer- Thank you!Thanks for stopping by. Hi Elyse- Thanks! Yes,they came out rather pretty. Hi culinarywannabe- Another Jamie fan? Sweet. Hi Cheryl- Isn't it great? That makes me want to start an herb garden. We almost always used dried herbs, just because we do not grow our own and it is too expensive to buy fresh ones. I have heard it is easy to grow herbs, and you have given me some inspiration to try because I must admit, my thumb is not very green! I will have to try these soon, I have 5 buternut squash making me feel guilty in the basement. Thursday is pick-up day for my CSA and I get 2 more!! I was perusing garden catalogs and stumbled upon a meyer lemon tree. I have been happily dreaming of it ever since and ignoring the white dust piled up outside. I love the idea of having all the herbs close at hand Aimee. I've seen a similar version of this recipe before & have wanted to try it for a long while now. They look beautiful! 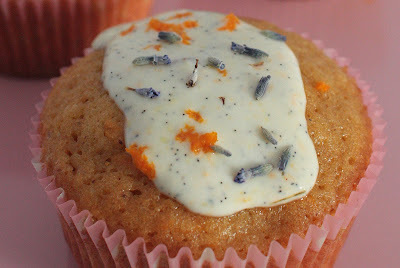 And just a sprinkle of the lavender is plenty... too much and you're eating plants! Oh my goodness I'll have to make these b/c I adore butternut squash. OMG! I can't wait for spring to get here...but then again where I live it was 90* yesterday! 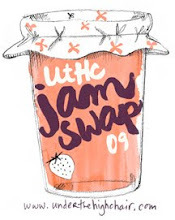 I gave you an award over on my blog! Happy Wednesday! Hi Taylor- Thanks for stopping by! Stick around, maybe I'll share some tips come spring! Hi Robin- Dreamy indeed, I would love to be able to grow citrus. Hi Val- Of course you would! Girl after my own heart! 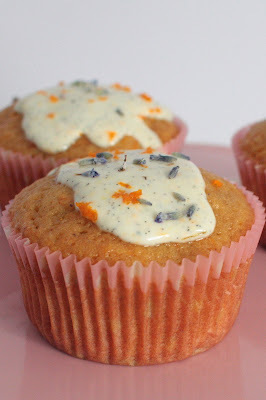 Hi RecipeGirl- Yes, a light hand is key to using lavender. Hi Olivia- You'll love them! Hi Tonja- How exciting! Thank you! Thanks for your sweet comment on my blog. I'm sorry to say this is the first time I've actually checked yours out. Being a personal friend of hers, I of course read Simple Mom every day, but I never jumped over to yours. The muffins look delicious.. like a lil taste of Thanksgiving. 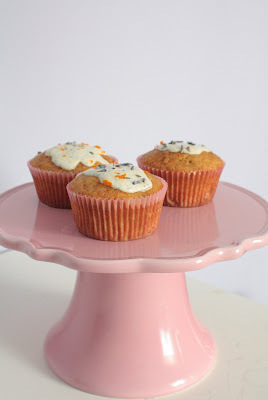 This post has me excited for spring - and for some muffins! I don't know, I'm still enjoying walks outside, in the snow, wearing my snow suit and everything. Don't laugh, I'm serious! ;) Maybe if I HAD space for a garden I'd be looking forward to spring. Ah, well, I guess I'll live vicariously through you. :) Those muffins sound like something I could eat a dozen of, right now! I love Jamie Oliver! I am too the aspiring gardener and he definitely makes getting dirty look like so much fun! The muffins look delicious! Oh and from the next post! 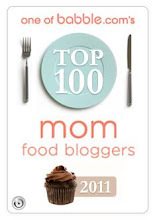 I am so with you on all the points of food bloggers. That could not be more accurate! Your seed catalogue brought back cherished visions of myself when I had a very big garden patch to tend to. Those were great moments. I'm glad I stopped by...you seem to have a real joy for food.